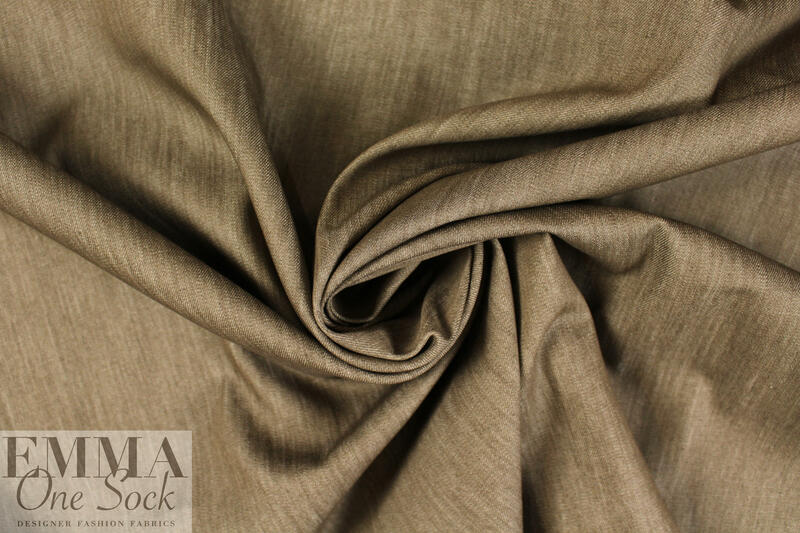 This exquisite cotton and SILK denim is just in with a new shipment from Italian mills, and is a medium weight yet supple denim with 5% stretch in the width only, opaque with a cottony drape. 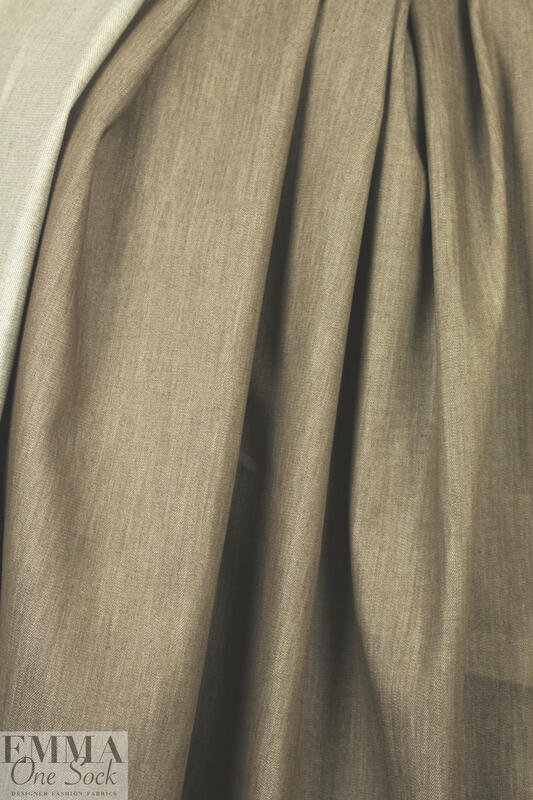 It has a noticeable twill weave and the color is a cafe-au-lait mixed with white (PANTONE 17-1410 mixed with white). Gorgeous quality! 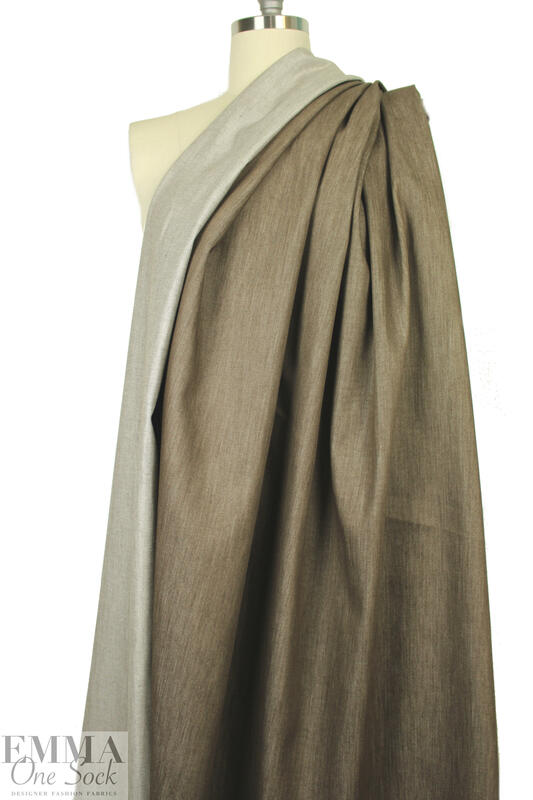 Perfect for jeans, jacket, skirt, sheath dress, vest, etc. Pre-wash as you will want to wash your garment, and please test first.